Book Handyman Stockwell for instant repairs, property remodeling overhauls, and basic plumbing and electrical jobs. We have years of experience and professional equipment to deal with home improvement jobs and all sorts of renovation and upkeep tasks at residential and commercial properties. Reach us at 020 3404 3304, request a service online or use our live chat facility. All of the handymen we work with carry public liability insurance. Whenever you need to book our services, simply give us a call! We carry the most modern tools & equipment. Flexible Booking Slots We offer evening & weekend booking slots. No Hidden Charges No hidden charges, everything is transparent. 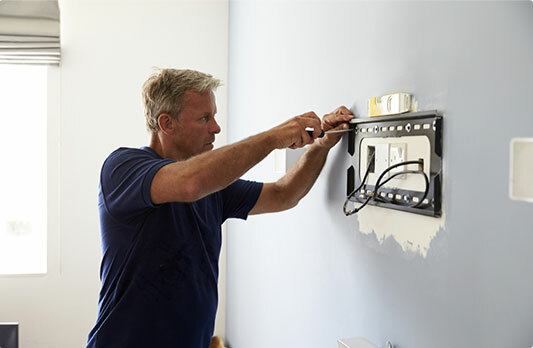 Reliable Handymen All the members of the handy team are background - vetted & carry ID. Local Technicians Enjoy home improvement services delivered by handymen who know the area well. From light touch-up painting to freshen up your living or working space to exterior painting, we can do it all! Unblocking of blocked toilets, sinks and drains, installation of toilets and washing machines, regular plumbing maintenance. We carry out electrical testing and inspections and replace faulty lighting components. The handy workers re-seal baths and showers and lay new tiles in bathrooms and kitchens.